South By Southwest and Spring Break are upon us which means thousands of people are about to flood the city for what is sure to be one endless party…until it ends March 22. Here are some posts to help you navigate. My SXSW guide for folks attending the conference lists places to eat. 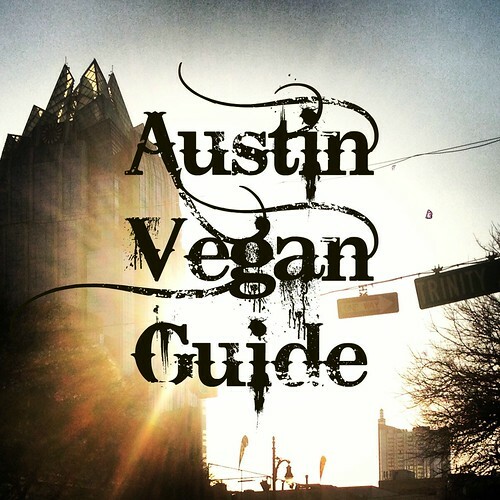 My Austin Vegan Guide has a list of every vegan option in town. 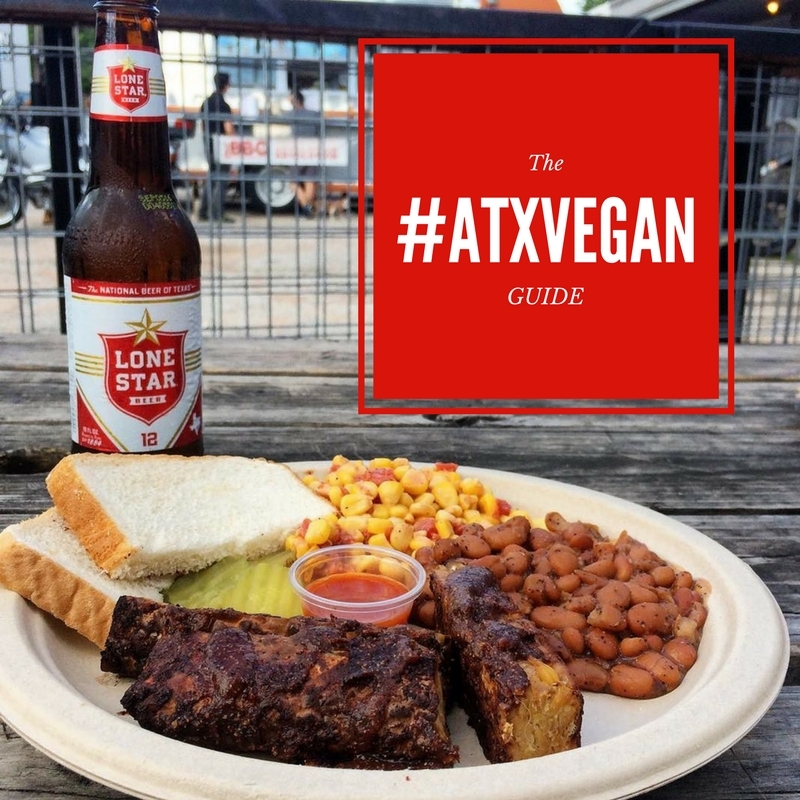 My Tour of Austin guide is everywhere you need to go if you want to eat every awesome vegan thing in Austin. 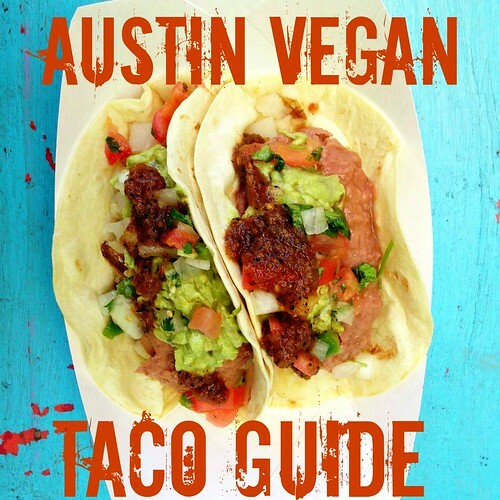 The Taco Guide is the key to having fantastic tacos. My late night guide is a little out of date but most of it holds true. 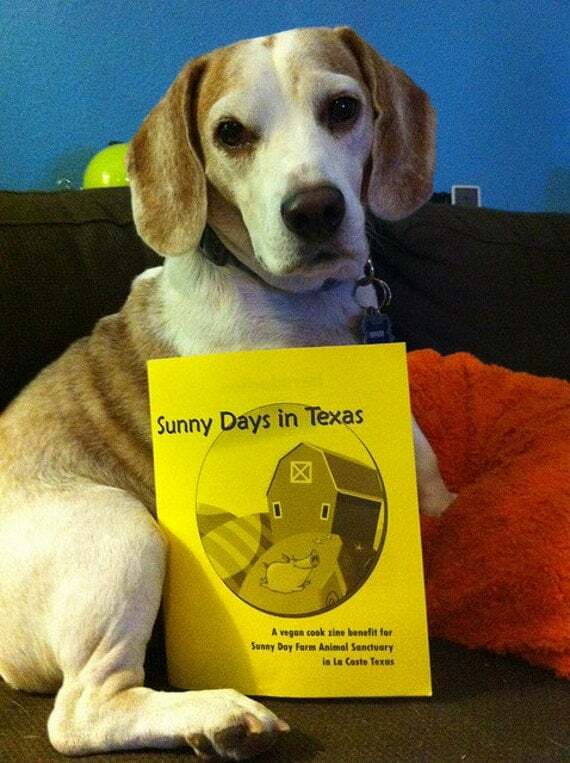 Here’s two awesome posts from Mad Betty How to Get Through SXSW and Fun Without a Badge. Read these and it’s all going to make a lot more sense. For those attending Interactive there is going to be meet up and party sponsored by Finding Vegan Friday, March 13. You can find vegans! For the music portion Brooklyn Vegan will be back with a full roster of day parties at Red 7. The great part about the Brooklyn Vegan events is that they always have vegan food so it’s a great daytime activity. Just remember to wear sunscreen if it’s hot out! I always get sunburned at sxsw. If you haven’t been to Austin in a while tons has changed and I am going to briefly go through the new trailers. Remember that trailers can sometimes move around, run out of stuff, close early, or stay open really late during the festival. They are all pretty good about updating Facebook so that’s the links I am going to use. Our beloved all vegan cheeseburger and taco truck Arlo’s is now firmly planted on Red River at Cheer Up Charlie’s next to the East Side King. You have to go into Cheer Ups to get to Arlo’s but if there is a cover it will be worth it. I love East Side King too so try them if you need some actual vegetables. Arlo’s is usually open late too. On the eastside newcomer all vegan Cool Beans is making tacos to order along with the best tamales ever. Just south of the river Unity Vegan Kitchen opened up their amazing trailer. The lasagna, muffaletta sandwich, and whatever is on special are my favorites! South of the river and east of IH 35 at the Buzzmill Coffeeshop you will find the Golden Spike Rail Cart which has rotating sandwiches and specials, a french fry bar, tacos, nachos, and a great brunch with breakfast burritos and waffle specials. Further north but still east outside of the pole dancing training ground of Brass Ovaries are two more new trailers. BBQ revolution has smoked tempeh, soy curls, and seitan that you can have on a sandwich or on a plate with mac and cheese and potato salad. Next door is Bistro Vonish which has a rotating seasonal menu including pizzas and kolaches. Back in the central part of town a little north of downtown two vegan trailers live at the Spiderhouse Coffeeshop. The Vegan Yacht has been around for a while selling their very popular Frito Burrito and newcomer Maggie’s Waffles has both sweet and savory waffles with pizza toppings. Rabbit Food Grocery opened a brick and mortar store a few weeks ago. They have more vegan snacks than you ever thought possible and are the perfect place to stock up on snacks to keep in your bag so you always have something to eat. Counter Culture Vegan Restaurant is now open every day of the week and they usually stay open late during the music portion of SXSW. Bouldin Creek always pares down to a more limited menu during the festival and they stop taking phone orders so locals I recommend brunching at places a little farther out…like the Steeping Room at the Domain. Have fun, hit me up on twitter @veganlazysmurf if you have questions or leave a comment here. This entry was posted in Austin, News on March 9, 2015 by lazysmurf. 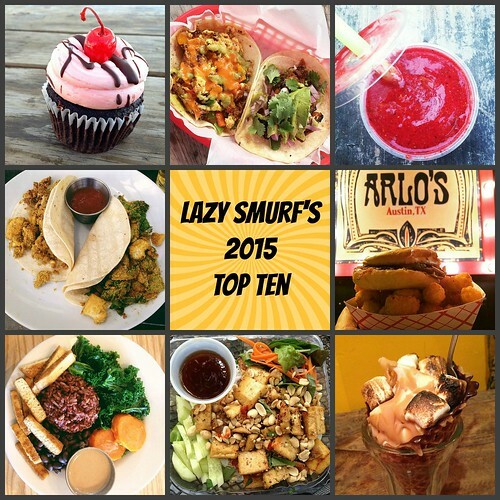 Lazy Smurf lives in Texas and only blogs after she has had a lot of coffee. *coffee shop where golden spike is located is called Buzzmill, not Buzzfeed. were is sweet ritual? 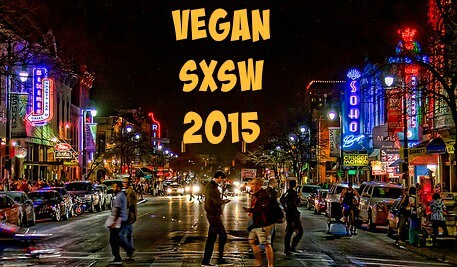 u cant have a vegan sxsw without vegan ice cream. Sweet Ritual is where it’s always been on 45th & Duval, this was just an update of things that have changed in the last year. Thank you for the shoutout of the Finding Vegan event! We will have vegan cupcakes by Sugar Circus .. until they run out that is 🙂 Hope to see you all there! 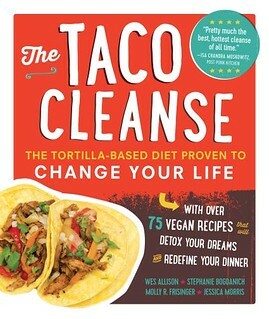 Order the Taco Cleanse Cookbook!